Plantar fasciitis causes your heel to hurt with the first few steps in the morning because your calf muscles are tight. 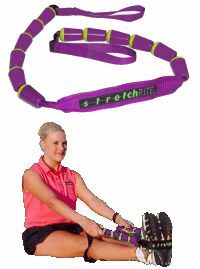 The Stretch Cord is a good device for stretching the calf muscles before getting out of the bed in the morning. The handles make it easy to grab.